This stunning and large pair of cushions come from a vintage selendang from the Amanuban region of Timor, Indonesia. 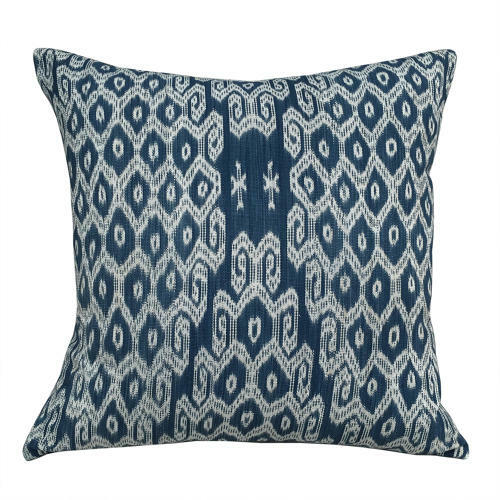 It is made from thick cotton in an ikat weave of vibrant indigo and off white. The cushions are backed with a vintage handwoven indigo hemp from the Buyi minority, which adds to their appeal. They have zip fasteners and feather pads.